Kevin De Bruyne has criticised Belgium manager Roberto Martinez's tactics and urged him to "find a solution" to their struggles after Friday's 3-3 draw against Mexico. 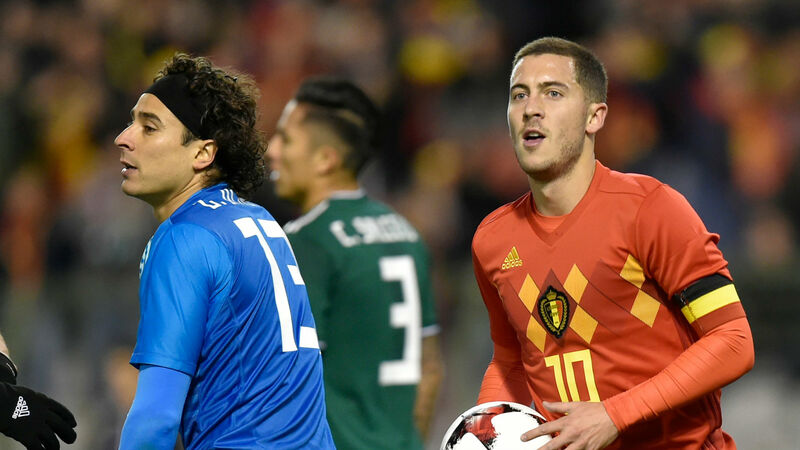 Belgium's six-game winning streak that saw them finish top of their World Cup qualifying group with a nine-point lead came to an end in the friendly with El Tri. With the likes of Manchester City star De Bruyne, Eden Hazard, Romelu Lukaku, Dries Mertens, Jan Vertonghen and Thibaut Courtois in the side, a lot is expected of Martinez's team in Russia next summer. However, the disappointing start to their preparations for the tournament has worried De Bruyne, 26, who feels their tactical set up is not working with the players at Martinez's disposal. "Mexico were just tactically better. Their system made our five defenders sit deep and we were swimming in midfield - it was five against seven," he told Het Laatste Niewus . "Look, we still put too much on our talents. As long as we don't have a good tactical system, we will have difficulties against countries like Mexico. It's a pity that we have not yet found a solution. "Of course we play with a system that is in principle very defensive, but it is filled with many attacking players who want the ball. "Then you have a bit of a problem, like against Mexico. It was a match in which we had very little possession and everyone in a system that doesn't really fit. We now know that something must be changed against such teams. "But eventually Martinez decides. I think the trainer has to find a solution so that we can avoid such situations as against Mexico in the future." The Rode Duivels continue their preparations for the 2018 World Cup on Tuesday when they host Japan.